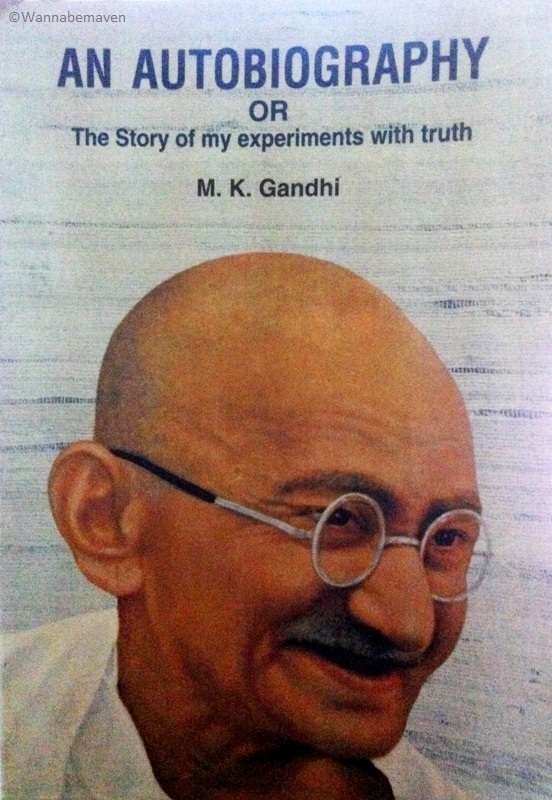 The Story of my Experiments with Truth is an autobiography by Mahatma Gandhi that chronicles his life from childhood until 1921. The book is one of the most read ‘Gandhian books’ since being published in 1927 and it has been translated to a couple of different languages. Around the year 1999, the book was part of a list of top 100 spiritual books of the 20th century. I am not a Gandhi fan per se, but I do believe in some of his ideals and principles which compelled me to read this book. So, let me present to you some of the Mahatma Gandhi quotes from the book based on my personal liking…..
“The physical in man reacts to the psychological”. Join me on Twitter and Facebook for more such stories and photographs. I also make cool status updates, just in case you like randomness! Autobiography, Books, Gandhi, Gandhi Quotes, History, Life, Quotes, Spiritual. Bookmark.